This induction rice cooker changes your life. Whether you’re single, living with a loved one or you have a large family, this rice cooker has a lot to offer. If you’re looking for a Tiger rice cooker review on the JKT-S10U-K or the JKT-S18U-K then look no further. So…you want to know what the Tiger rice cooker can do for you. Let’s have a look. Click Here to see the Best Price I found on the Tiger JKT-S10U-K 5.5 cup rice cooker and Here for the Tiger JKT-S18U-K 10 cup. This is one of my all-time-favorite kitchen appliances. I don’t know what I did before getting the Tiger. 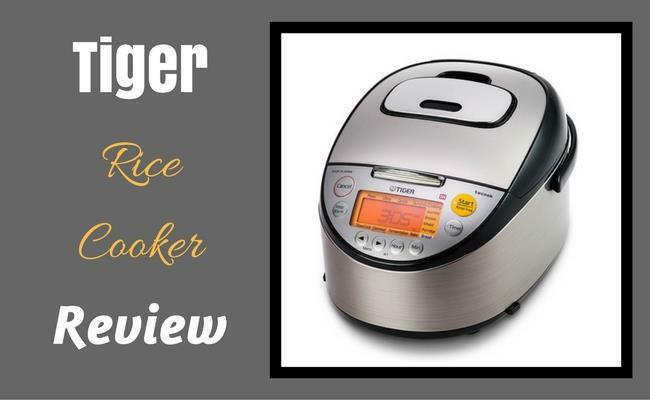 Most Tiger rice cooker review articles will give you the specs about the product. I want to tell you what it offers you personally. 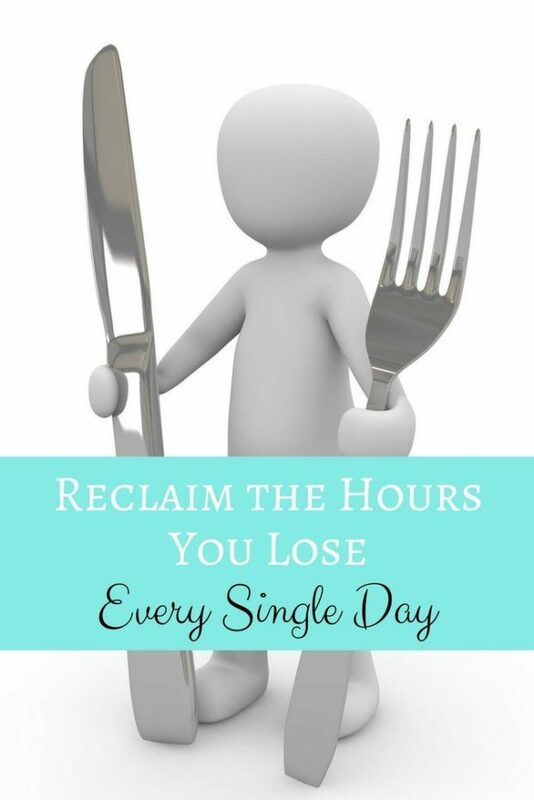 First, it gives you back the time you lose every evening making dinner. Now, don’t get me wrong. I love to spend time in the kitchen on the weekend, trying new recipes, and feeling that sense of achievement after making something perfect and delicious. But for mid-week, I’m too busy. Let’s face it, during the week most people are busy with children’s school and sport commitments or late coming home from work or just needing extra time to fit in a workout. Heck, some people just want extra time to walk the dog. It’s simple. We need more time. In this Tiger rice cooker review I’m going to explain exactly how you get the time you need without sacrificing flavor or nutrition in your meals. When most people think “time saving” they assume there’s a pay-off. The Tiger JKT-S10U-K and the JKT-S18U-K have found the solution. No sacrifices. Sure you’ll probably get into the rut of cooking a few favorite recipes over and over throughout the week. But as long as you have 5 weekday recipes you won’t be seeing them again for a whole week. (See this link for some coconut rice recipe ideas). I like to use my weekends for the lengthy cooking that I do, but my approach to weekdays is fast and fabulous. And my Tiger does the job. The reason I chose the Tiger JKT-S18U-K over other rice cookers is because it is multi-function. It’s also simultaneously dual function. You can cook two different dishes at the same time. Bear with me, as I explain. I can’t write a Tiger rice cooker review without mentioning the word “Tacook”. This is the special system where you can cook a meal containing protein and vegetables in the top of your rice cooker at the same time as cooking rice in the bottom level. Genius. When I say “protein”, I mean you can cook chicken, fish, eggs and other protein rich foods in the tacook cooking plate at the top of the Tiger rice cooker. Of course you have the choice of adding vegetables too. Or just use it for vegetables only. The top level also cooks a tasty omelette with whatever extra ingredients you choose to throw in for flavor. Here’s a video showing the Tiger rice cooker using its Tacook function. What is the Heating Method? This is an induction heating rice cooker. Induction cooking is superior in that it uses the bowl as the heat source for the food (if you need more information on other induction rice cookers, click here). Traditional heating rises from an element in the bottom of the appliance. With induction heating the heat is in the sides as well as the bottom of the bowl and therefore fully surrounding the food. This gives you more consistent heat throughout the food and produces a superior result. This Tiger rice cooker uses Micom in addition to induction heating. Micom is a sophisticated micro-processor which makes adjustments and determines the correct heat to use when cooking. This is why you get such good results compared to those old rice cookers which simply turned on but weren’t smart devices like we have now. Does this Tiger Rice Cooker have a Timer? Yes. You can actually set the time for when you want the cooking to finish, which is handy. I use the timer for breakfast and dinner. I like to make oatmeal with steel cut oats in the morning and a variety of dinners in the evening. The video you saw above is one of my favorite recipes for a quick and easy dinner. I also like to use the Tiger rice cooker for cooking grains instead of rice for dinner. There are lots of settings and it is easy to cook other things in this rice cooker. Is the Tiger Rice Cooker a Slow Cooker? I love being able to write a Tiger rice cooker review where I can actually talk about the slow cooker function as much as the rice cooking function. So, yes. This Tiger rice cooker is also a slow cooker. I love the slow cooking function as much, if not more, than its rice cooking ability. Here’s a video of one of my favorite mid-week pot roast dinners. It’s a Tiger Corporation recipe. I can’t claim it as my own! But I use it so often I feel like it’s mine. The family love this recipe. The meat is so tender and the meal is full of flavour. It’s also nutritious because the vegetables are cooked in the same pot and you don’t lose nutrients in the water that gets thrown away when you boil or steam vegetables in a pot on a cooktop. For the price, you get delicious meals with minimum prep time. 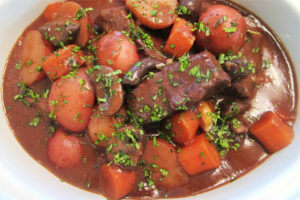 This is the Hearty Red Wine Beef Stew recipe from Tiger Corp.
Another family favorite from the slow cooker setting is the Hearty Red Wine Beef Stew. This is also a Tiger Corporation recipe and one we enjoy. It is packed full of healthy vegetables and herbs and tastes delicious. It uses a cheaper cut of beef, so we also save money. The advantage of using the slow cooker for dinner is it allows me to get on with doing other things while the food cooks. There is no need to stand over a stove top since the Tiger rice cooker does all the work for you. With minimal preparation you can have a delicious and healthy meal on the table every night. Does the Slow Cooker stay at one temperature? No. This is a smart appliance and it will automatically make adjustments to give you the best results from your food. When the slow cooker function begins it is brought up to almost boiling temperature. It is then automatically reduced to 199°F (93°C). After the food has simmered for a while the temperature is again lowered, this time to 190°F (88°C) and it holds at this level. The reason the Tiger rice cooker does this in slow cooker mode is to enhance flavor. Also the liquid does not reduce down even after a long period of time. These smart features are a result of the micom processor and they allow you to get superior results from your cooking. 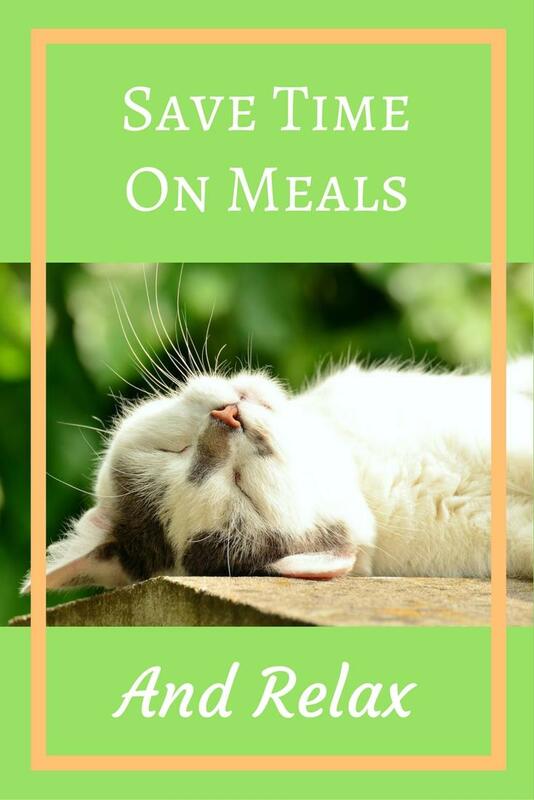 I should mention, the Tiger rice cooker comes with a cookbook when you buy it and there are also plenty of recipes online if you need more ideas. I can’t help but mention, the Tuna & Bacon Rice Casserole pictured on page 25 of the Cookbook, is also very tasty! Rice with Chicken and Vegetables is a simple meal which still tastes good if you’re on a diet. And if you like chicken but you’re watching the calories (like I am), then I recommend the Rice with Chicken and Vegetables recipe which contains no oil, no extra fat and is still tasty and great if you’re following a clean eating plan. I replace the chicken broth with vegetable broth to cut down on calories. The omelettes and frittatas are also popular in our house. 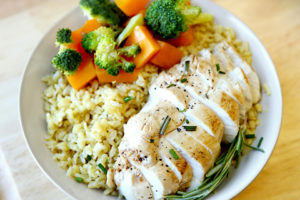 By using the cooking plate in combination with the rice cooker bowl you get good variety in your meals. And with the options of both slow cooking or synchronized cooking using the tacook cooking plate your variety in meals is unlimited. If you like to make bread at home, your Tiger rice cooker can do it. Personally, I’m not much of a bread-maker. But sometimes I like to make fresh bread on the weekend so I make it in this Tiger rice cooker. It is easy and turns out beautifully. However, I tend to get more excited about making the Apple Cinnamon Roll recipe. It is delicious and quite a treat. The recipe is included in the cookbook (next time I make it, I’ll try and remember to take a photo to show you because it is really quite delicious). The advantage of using the rice cooker is being able to make this type of recipe without turning on the oven and heating up the whole kitchen during summer when we’re trying to stay cool. I’m guessing we also use less electricity by not heating a big oven just for one recipe but I don’t really know the facts on it, so it’s just my guess. Maybe it’s more energy efficient. I hope so. I’ll leave that one for you to research, if you need to know. For your information, Tiger Corporation states that the induction heating rice cooker has 85% thermal efficiency and non-induction heating rice cookers can be 60% or lower thermal efficiency. So this is definitely a plus for induction heating. I know I’ve said in this Tiger rice cooker review how much time you’ll save with the no nonsense method of cooking in this rice cooker. But you also need to know…as well as this hands-free approach to cooking your dinner, there is also the time-saving easy cleaning. No pans to scrub. The bowl is non-stick and easy to wipe clean (pleeeeese, no rough scratching brushes, just a soft sponge). The lid is removable and rinses clean under the faucet. The tacook bowl is made from BPA-free plastic and washes easily too. Nothing has stuck to it yet. The only problems I’ve ever heard about with the rice bowl is when people have used a heavy-duty scouring sponge instead of a soft one. It will cause scratches, but this is the same with any non-stick surface, if you mistreat it. You can’t have a Tiger rice cooker review without touching on the specifications at least once! This Tiger rice cooker model comes in two sizes. The 5.5 cup (1 liter) and the 10 cup (1.8 liter). Both rice cookers offer the same features and functions. The only real difference is the minimum amount of rice which can be cooked in each. And obviously, it goes without saying, the maximum amount is different too. There are a few other things to note too. Writing a Tiger rice cooker review on the JKT-S10U-K and JKT-S18U-K models has been a pleasure. I enjoy using this rice cooker. 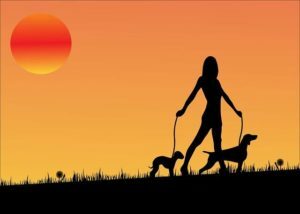 It gives me back my time in the evening when I need it most, to spend time with my family. The Tiger rice cooker gives me great results in healthy meals. My family like the delicious meals it produces and there is minimum preparation time for me. Overall, this is a high quality induction heating rice cooker and it will improve your day-to-day existence if you’re struggling to find enough hours in the day to do everything. This entry was posted in Rice Cooker on March 13, 2017 by Edwina. Thank you so much for the wonderful details review on this product. I was bit confused between the s10 & s18, and bit hard to google it yet you gave me a complete difference between those two, cannot thank enough! Thanks for your comment. I’m glad I could help. I hope you enjoy your new rice cooker.